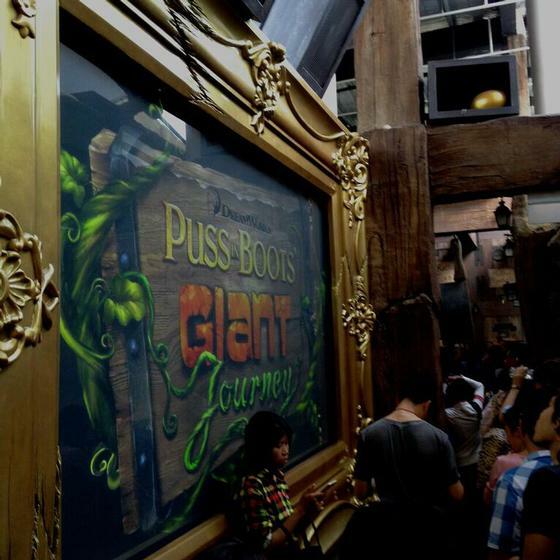 Puss In Boots' Giant Journey is a roller coaster in Far, Far Away at Universal Studios Singapore. While it's not the best, it is also recommended. The minimum height to ride is 39 inches. A family suspended coaster featuring a wild goose chase with Puss and his accomplice, Kitty Soft Paws.